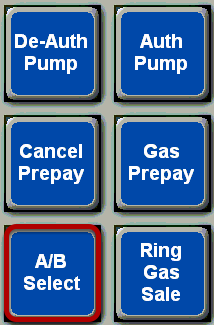 TravStar1 Point Of Sale SystemRegister Manual Gas TransactionsHow Do I Ring a Stacked Sale from a Dispenser? How Do I Ring a Stacked Sale from a Dispenser? 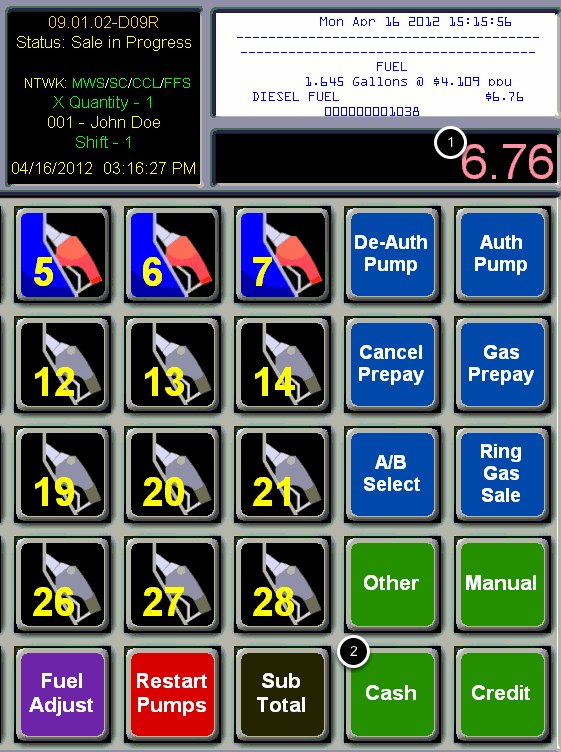 This lesson will teach you how to ring a stacked fuel transaction on the register. Touch the dispenser icon for the transaction that you want to ring into the register. Notice that there is an -A- and a -B- transaction. The -A- transaction is selected by default. If you would like to ring the -B- transaction first, touch the "A/B Select" button. Notice that the -B- transaction is now selected. 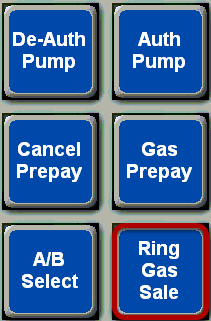 Now that you have selected the transaction, touch the "Ring Gas Sale" button. Prev: How Do I Stack an Authorization on a Dispenser? Next: How Can I Create a Fuel Transaction Manually?